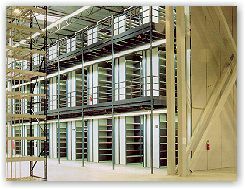 File shelving, box storage shelving, and mezzanine shelving systems are a specialty of Western Pacific. 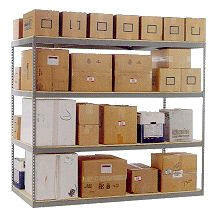 Western Pacific Storage Systems is a nationwide manufacturer of shelving and storage systems for business, industry and government applications. Their product offering includes RiveTier boltless shelving, Deluxe metal shelving, QuikPik carton flow rack, Industrial Structures mezzanine systems and Pacific metal shelving. 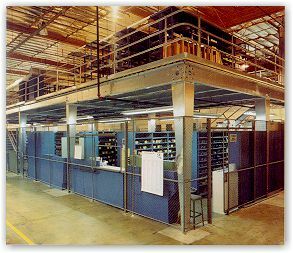 Western Pacific Storage Systems do the job for all sorts of businesses, from warehouses and distribution centers to laboratories and government installation. Western Pacific also serves the Automotive Parts Storage field. They offer a complete line of cost-effective, in-stock solutions to meet demanding store opening schedules. Western Pacific offers products for specific automotive parts storage, including racks for tires, batteries, oil, and general auto parts. Another market place served by Western Pacific is the retail market. 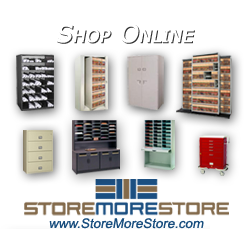 They offer products that keep backroom inventory organized, and are equally at home in the storefront as merchandising display units. The final market place served by Western Pacific is the office market place. 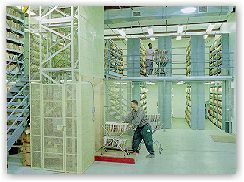 They offer products that organize records and files, provide ergonomic work areas and keep supplies and materials in order.